​If you are the type who does a lot of long driving, then doing a car wash weekly is advisable. This will remove all the dust, bugs and other air pollutants off of its surface from all the commuting that you have had with it. Distance is a factor because this would determine the amount of dirt and buildup of germs in your car, so it is only fitting to do it weekly. If you live in a town with a mild weather, which means it doesn’t rain hard or the summer is not too hot that it would cause more dust on your car’s surface, then it is only fitting to give it a wash at least once or twice a month. This schedule also works if your car is parked inside a garage. This could mean that exposure to tree sap and bird﻿ droppings are less, so you don’t need to clean it that often. These things could damage your car’s surface if you don’t remove them right away. However, if you are really busy and you live in an area where it is inevitable to get them everyday, washing your car at least once a week should suffice the need to keep it clean. After establishing that it is time to wash your car, here are some details that you must know. For starters, we will break this down into two categories, that is the “automatic car wash,” and the “hand c﻿ar w﻿﻿ash.” Obviously, the former is done by machines and the latter is done by people, but which one is more effective? While Asimov's law may favor the efficiency of robots, there are true strengths and weaknesses of both, which are important to take into account. There are automatic washes at tons of gas stations and strip malls all over town, which makes it an easy solution that you can turn to on a whim, even on a busy day while out and about handling business. Put in your money, pop the clutch in neutral, put on your shades and blast Franz Liszt’s piano concerto no.3 over the sound system as you relax for about three minutes and the robots go to work. Pulling your car through a fun tunnel of spinning brushes and soap sud sprayers, topping it off with the industrial fan from a Michael Jackson video to blast your car dry, you’re in and out in a total of about five minutes and back on the road to action. Hiring someone to do wash your car could cost more since it is considered as manual labor. Let's face it; machines are cheaper. Of all that could be said of the automatic car wash, there is no denying that it’s easier than the DIY approach. The auto wash is a ‘one-size fits all’ approach to washing a car. Every type of vehicle from an M1 Abrams tank to mini Cooper, every car gets pulled through the same tunnel and comes out the other side with spots that were missed and areas that are still not dry. An ensemble of mechanized devices at the local gas station is not going to recognize your flashy hood ornament, Pac-Man shaped antennae ball or oddly positioned side-view mirrors, and therefore may just wash them right off. Some mechanized car washes have brushes and scrub pads that are abrasive and can do more harm than good to your paint job. It’s not likely that the auto wash will wax and detail your car. Your lucky if it gets all of the bug guts off of the windshield, much less de-grease the wheels or leave a sparkle-shine on the paint. The fact that the auto wash most commonly lacks a human eye to see and dry off wet spots means that you will likely drive away with water still on your car. Contrary to popular belief, driving around the block a few times to dry your car is not a very effective or good way to handle drying. In fact, if left to air dry, the hard water used in most auto washes will form water spots, which build up mineral deposits. These are the kinds of things that cause paint degradation like previously mentioned. The handwash allows you to really get into the details of perfectly washing your car. From the types of soaps used, to selecting detergents that are specific to the type of metal that make up your rims, every aspect of cleaning a car can be nitpicked, customized and perfected to a showroom standard. Technology is getting good, but this is simply not possible with an automatic wash.
Not mentioned up until now, the interior of the car will also need to be cleaned from time to time. There is no way around the fact that a hand wash will be required if one is resolved to maintain the interior cleanliness as well. It is so easy to just get all your tools with your and start washing your car. Unlike going for an automatic car wash, you don’t really have the control of all the machines working for your wash.
Plus, since this is manual, you won’t have to worry about a machine acting up or possibly damaging your car. This task is rather self-explanatory. Even if you pay someone to do it for you, money can still be equated to time and energy, thus, a hand wash is a more costly endeavor than the automatic wash. It would usually take you an hour or more to manually wash your car. But going for an automatic wash could be 45 minutes of even less. Sometimes the dirt that sticks itself to a car can be tough to get off, requiring the use of harsh chemicals and detergents. While an automatic wash will still use some of these chemicals that are bad for the environment, they also are zoned in commercial areas with special drains and plumbing that help dampen the hazardous effects on the environment. If you are doing a hand wash in your driveway, those chemicals are going into the storm drain and eventually right back into rivers or oceans. Special care should be taken to select products which are both effective and environmentally safe. Most people are not in the car washing business, but just able bodied folks with a DIY attitude. I, myself am a huge fan of the DIY mentality, however, a sense of DIY perseverance does not always suffice in place of owning the right tools. Common garden hoses do not always have the required water pressure to effectively rinse off stubborn soap residues. This causes remnants to sit and eventually seep into the paint after sitting under the sun for days on in. The proper tools, such as high-pressure hoses, soaps, detergents, soft drying cloths etc. can be expensive on a recurring basis, so this all should be factored in. When it boils down to the last result, the automatic wash wins if time and cost are just the case. You will surely save money and even energy resorting to it. But this won’t be a good idea if you own one of those luxury cars because it is prone to getting damaged from the machines offered by an automatic car wash. So I say, if you have a lot of time in your hands, it is best that you just do it by hand, as it would benefit the value and physical state of your car. Many of the cons to the hand wash are correctable with a little know-how, while there is no fix for machines being incapable of paying close attention to details. That said, if you want to have a car that looks like it has been taken care of until the day the wheels fall off, a well-polished application of the classic hand wash really is the better way to go. Having said that, the guide must continue, as there are still plenty of aspects to the perfect hand wash to discuss. It is best to do weekly washes or wash right away if car is visibly muddy. I prefer automatic, touchless carwashes. It sometimes takes two run throughs, but avoids scratching the clearcoat. It really depends - I aim for a waterless wash every week, then a good pressure wash using a foam cannon once a month...unless it rains or the car is unusually dirty, then more often/as-needed. You never want to let dirt and other deposits sit on the clear coat too long or it will eventually eat away at the finish, which is why you see so many older cars with the clear coat peeling off. Washing more frequently also means it is easier to wash, and less chance of marring the paint by scrubbing stubborn spots. My other tip is if you do get bird droppings on your paint, clean that off as soon as you can get the paint back to room temperature so that it doesn't sit too long and potentially discolor your paint - and when removing the droppings, don't use any pressure, let the chemicals do all of the work then just wipe away gently. Which is better - manual or automatic car wash? Never use an automatic car wash, unless you love swirl marks. If you're desperate, you can use an automatic car wash only if it's completely touchfree, but it won't be nearly as good as a manual hand wash. Honestly...I have a garage so not often. Maybe once a month per car. Carl is a managing editor of automoblog.net. He has worked with Fiat Chrysler Automobiles, Ford Motor Company, General Motors, Mercedes-Benz, Honda, Volvo, and Local Motors. Try to wash your vehicle at least once a week, especially if you live in a winter climate. Road conditions during the winter can cause a lot of wear, so keeping up with regular washes is essential for proper vehicle maintenance. My advice is to look for a day during the winter where it might be just a few degrees warmer. Automatic car washes will often be operating on these days, and stopping for a quick rinse off will help maintain your vehicle during the winter months. In general, I recommend washing your vehicle at least once a week. Routine washing is part of good vehicle maintenance. Neglecting it can hurt everything from your vehicle's curb appeal to resale value. I like automatic washes because they are convenient and quick. Some locations offer multiple wash and detail packages, be it for your wheels and tires or your whole interior. Many automatic washes have attendants that will wipe down your vehicle or advise you on the right wash package. My personal preference, however, is to use a manual wash. For anybody that likes a hands-on approach with their vehicle, a manual wash is definitely the way to go. Personally, I enjoy using the spray gun and scrub brush and feel like I can better clean the harder to reach areas on my vehicle. If you are diligent, I believe you can do a better job yourself even when compared to the best automatic washes. Mike Co-Author of Auto Upkeep. He began diagnosing and fixing cars in his family’s service station at a young age. How often you need to wash a car really depends on the driving conditions. Does the owner live on a gravel road? It is during a time of year when there is slush on the roads? When the vehicle is dirty wash it according to the owner’s manual. If you brush up against a dirty vehicle you could scratch the finish. If you look under 'auto care' in some owner’s manuals it will indicate that you need to be cautious about using pressure washers or high pressure automatic car washes. Hand washing is generally the preferred method. If you do use a pressure washer follow these recommendations. Keep the water pressure below 1200 psi. Do not heat the water above 179 degrees F.
Avoid moving the pressure washer’s nozzle (tip) closer than 12 inches to the vehicle’s surface. Maintain a 90 degree angle to the vehicle’s surface. High pressure can be hard on a vehicle’s finish, especially if it is already peeling or flaking. Here are some general car washing tips. Use only specifically formulated car wash soap. Do not use dish detergent. To avoid water spots keep the vehicle’s finish wet until you are ready to dry it. Hard water can leave damaging spots on a vehicle’s finish. After washing, dry a vehicle with a clean microfiber detail towel or super absorbent chamois. Marcus is the CEO and Co-Founder of Marcus Media Network, which is a network of high-authority automotive and tech-related websites. I think every car owner should was their car two times a month. The manual car wash will offer you a cleaner car than the automatic car wash, but depends a lot. I am sure every car owner don't want to take the car from a wash with scratches and for this I recommend the automatic car wash, but the car will not be cleaned as well as in the manual car wash.
Eric Founder of EricTheCarGuy. He is very knowledgeable about auto mechanics and repairing cars is his job. I might wash my cars once a year, if that. I’m mostly focused on repair and maintenance over appearance. I mostly drive a $500 Acura Vigor with pealing clear coat. Washing it would be a waste of time. Mechanically it’s in perfect condition. Conversely, I spent 2 days bringing back the paint on my Acura Legend because that car has value. Make sure to choose a cloth that is a soft material so as not to damage the paint job and use only washcloths that have no coloring or dyes on upholstery or fabrics so as not to stain them. This will serve as a vat to mix up our soap or soap and vinegar solution to keep handy as we get down to business. You’ll need a hose, and ideally you will want a hose that has a high-pressure head. The kind that fit over the top of a standard garden hose with a lever to unleash the stream and adjustable pressure settings are easy to find at most gardening or hardware stores and will suffice under most circumstances. Certainly this won’t be the tool to deliver the finished product. Still, it is quite handy for initially removing dirt from windows and windshields. These will soak up the solution in the bucket and provide a way to apply the soap to the car and gently scrub away dirt. It is best to use new sponges, so you don't dirty up your water with previous dirt, which can cause more damage than good in the end if you're not careful. To be on the safe side, don’t use common towels or paper towels for this purpose. Find soft, scratch free material towels for drying and don’t be wasteful in using disposable paper towels, which not only cost money to replace but add waste to the situation and are not soft enough to be ideal for the job. This will come into play towards the end of the job when it’s time to tackle the fine details. If possible, a shop-vac with a portable hose and a variety of fitted parts that sit at the end of the hose to reach different types of surfaces is the ideal candidate for the job. If this is not doable for some reason, a standard vacuum will work as long as it has a detachable hose piece. Hand vacuum cleaners are useful for certain jobs, but not so much in cases where heavy vacuuming needs to occur. No, not to collect a debt or carry out any personal vendettas, but to beat the dust out of floor mats. One point before we begin is to decide on the time of day to commence this project. This matters because you will not want to wash your car in direct sunlight. The heat from the sun can cause soap and water to dry prematurely, which will form water spots. The ideal time of day to begin is either early morning before the sun is fully out, or in the late afternoon just before the sun sets. Now that we have chosen an appropriate time, The first thing to do fill your bucket with your soap solution. A standard ratio is one soap per one gallon of water. Soak your Dish soap works fine as long as it is not a soap specially made for cutting grease, as those can wear away at the paint job. The next thing to do is grab your hose and just give the entire car a quick spray to wet the surface in preparation for step three. You don’t want the water pressure too high, as that can cause damage. It’s also important to spray the car from a top-down angle, so as to avoid water splashing upwards and leaking through to drip down the inside of the windows. Use the soft side of the squidgy to wet the surface of the windows, paying special attention to scrubbing out problem spots of stubborn dirt, bird droppings, and bug guts. Once the major spots have come loose, use the rubber end to remove the dirty water. Once that is done, set the squidge aside. Now you will want to grab your cloth from our bucket and begin applying soapy suds over the entire exterior of the car. 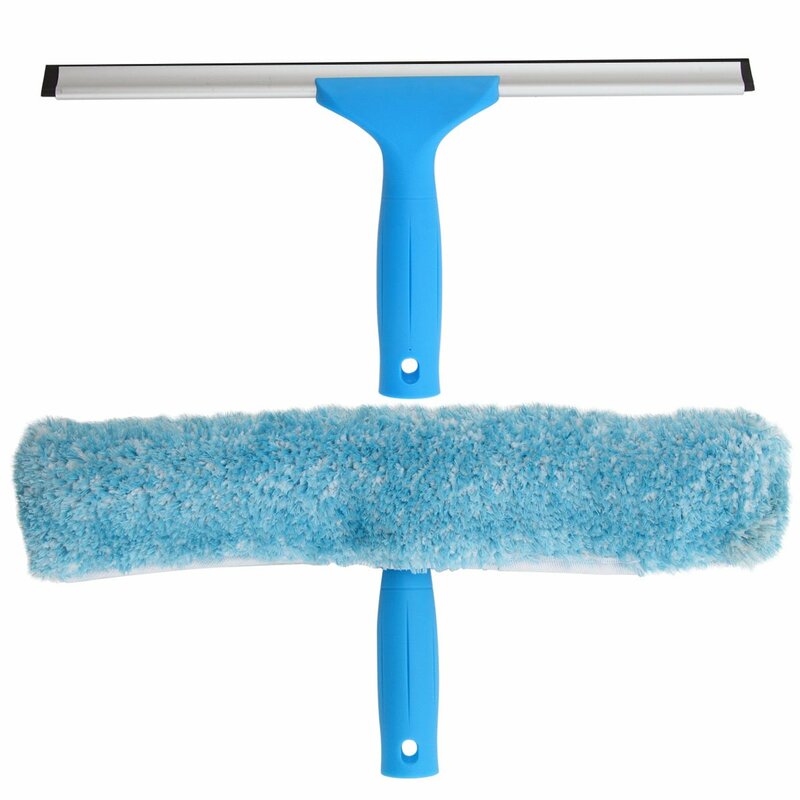 Use the cloths over the areas which are painted and use the towels or sponges on windows and wheels. Scrub tough spots but use caution not to scratch the paint! Only use soft microfiber cloths on the paint. ​It’s best to approach this in a top down manner, taking it section by section rather than all at once. When dealing with stubborn spots, it’s better to make multiple rounds with the soapy suds then it is to aggressively scrub at the spots, as scrubbing risks damaging paint. Starting from the top down uses gravity to your advantage, helping avoid the trouble of drying the same part more than once. ​The next point of interest here is to take care in keeping your sponges clean. Rinse sponges and cloths frequently with the hose, or preferably an additional bucket containing clean water. Dirt trapped in sponges can spell disaster for your paint job if proper care is not taken. ​For this reason also, it is wise to clean from the top down, saving the wheels for last, as the wheels are the dirtiest part of the car, likely to render sponges too dirty for use on the rest of the car. This way you won’t have to replace your sponges from start to finish. Once the car is thoroughly covered in soapy suds and all dirt is loose, grab the hose and give it a thorough rinse down, making sure to get all remnants and residues of the soap off before moving on. It is important to do this in a timely fashion, rinsing all soap away before it has time to dry. Dried soap is problematic, so let's remove that while it’s doing its job rather than making additional jobs to be done. Unlike the fragile painted sections of the car, the wheels can take a more abrasive scrubbing and are far more likely to require it. Special brushes with stiff bristles may be required to remove dirt and grease from wheels and tires. There are special tire cleaning solutions which you can purchase at an auto parts store for more severe cases. Optionally, conditioner for rubber, plastic and vinyl are also available at your local auto parts retailer. In the case of a very dirty car, one time through the soap and rinse process may not be enough to completely clean the car. If necessary, repeat steps three and four until you are satisfied that all dirt and grime have been washed away and all soap residue has been rinsed off. Once the car is thoroughly rinsed, it’s time to dry it off. Much like previous steps, we will want to do this before the water has time to dry naturally, as air drying will cause water spots and water spots are no good. We will want to dry the roof before moving on to any other steps. This is for two reasons. The first is that the roof is directly exposed to the sunlight, so we want to dry it before the sun does. The other is that drying the roof will likely push excess water off the top of the car to run down the sides, making anything we have dried on the rest of the car wet once again. For efficiency sake, dry the roof first. Use your spray bottle solution of choice to spritz on the windows, taking care not to get any on the painted portions. Don’t over spritz or the solution will run down the windows and form a streaky mess on the paint. Just a light coat will do. Once spritzed, use a dry cloth to wipe the windows clean, resulting in a clear shiny window which provides clear visibility from the driver's seat. Take care to use a quality solution, as cheap or improper solutions can leave streaks or leave the window looking cloudy and difficult to see through. Next we will take our soft, dry cloths and gently pat the car dry, removing water in a straight motion, going from one direction to the other until it sparkles and shines. Don’t dry in a circular motion. This is not the karate kid, nor are you Mr. Miyagi. We do the wheels last not only for similar reasons as drying the roof first, but also because the wheels are likely the dirtiest part of the car, and we won’t want to use the cloths that we used on the wheels to dry the rest of the car after drying the wheels for risk of painting dirt and grease right back onto the paint job. The interior of the car can be cleaned in the same session as the exterior so long as the exterior is completely dry before you start. Conversely, you can do this on a totally different day if you choose. To make the rest of the process easier, we will first want to throw away all trash that has accumulated in the car and set any additional items aside so as not to have them get in the way of the work to come. Remove the floor mats, suspend them from a clothing line in a location where the dirt and dust that is about to waft out of them can’t find it’s way right back onto your freshly cleaned car. Once sturdily suspended, use the baseball bat or stick to tap the dust out of them. We’re not at the batting cages here, nor are we trying out for the team, so don't use too much force. A medium tap – strong enough to jostle the accumulated dirt free should be fine. Once done, set the mats aside. When vacuuming, it is a must that you use the vacuum all the way from the roof to the bottom of the car. Getting rid of all the dirt on the roof should be the first thing to do so nothing would have to fall on the ground anymore while you work on the floor area. Note that your vacuum has designated nozzles to reach the inner parts of your car and clean it thoroughly. For the seats, there is the upholstery nozzle to work on it. This also works on the car’s headliners and other parts of the vehicle with upholstery involved. Use the crevice nozzle for the inner parts of the seats. The floor part would just need some dusting using a brush after you finished vacuuming it. First, good ol’ rubbing alcohol and dry cloth is the tool of choice for this step. Give the dashboard, center console, and belt buckles a good once over. Once that’s done, break out the toothbrush and toothpaste to detail the areas. Optionally, you can use the toothbrush and paste on the rubber between the doors and exterior and the plastic of your headlights. Make sure that you use the soft bristle ones for the toothbrush, as they tend to remove dirt on leather and other inner parts of the car. Do a circular motion brushing while at it. The car doors and the steering wheel are the part that would mostly need this portion. Use an old soft toothbrush for this part and partner it with some detergent, as the cleaning liquid after vacuuming it. Some would use toothpaste because of the baking soda content on it, but soap detergents would also work just as fine. You must condition it after so it doesn’t stay dry and hardened. A water-based conditioner is advised or anything that is pH neutral. You can also always read your car manual for their suggested cleaning product for upholstered seats. It would all depend on the kind of material that your car seat has. But if it is leather, the above suggestion always works. Should your seats happen to be all worn out, it is probably time to just replace them with a new one. Carpet cleaners usually work with upholstered seats, but you must vacuum it two to three times before applying the said cleaner. Never use detergents or window cleaners for this kind of fabric, as it will easily wear it out. Grab a stain remover for stains that are difficult to remove such as blood and other food related spills. Believe it or not, a hot iron is also another way to remove tough stains. Grab a paper towel and place it over the affected surface, then have your hot iron over it. The heat would easily melt the stain leaving it clean and spotless. Don’t forget to open your car windows and even doors after cleaning your car seats because it is a good way for all the chemical scent to be rid of it. Any items which you removed earlier that belong in your car. Keep it organized and minimal. Crack open a tall one and celebrate a nice clean car and a job well done. If you have followed this guide, then your car should look as clean as the day you bought it. Congratulations, you have earned the right to celebrate with a nice clean car to carry you wherever you wish to go. Most necessary information has been covered already, however, there are still a few points of interest which fall into a miscellaneous category of information on the topic. Pet owners will want to pay attention to this section, as pet hair and fur can throw a monkey wrench into everything if not handled properly. Pet hair can be a frustrating and seemingly endless job. Thankfully, there are some good tricks to get it done easily. One such trick is using a balloon to grab pet hair off your seats. In a similar manner as when we would rub balloons on our hair and stick them to the wall, we will use the static electricity of a balloon to grab pet hair off of our seats. Though this goes a bit beyond the scope of washing a car, applying polish after a good thorough cleaning will help bring out extra shine and sparkle. Additionally, applying a coat of car wax will not only bring about, even more, shine and sparkle to the paint finish, but provides an extra layer of protection from scratches and dirt. Window cleaners containing ammonia such as windex and other similar brands should be avoided on tinted windows. The ammonia in such cleaning products can discolor the tint. For tinted window, a tint safe cleaning solution is preferable. Finally, we have covered the “do’s” of washing cars, but haven’t cited many of the definite “don't's.” I find it more productive to focus mostly on what to do rather than what not to do, but still in the interest of being thorough, here are the major offenders of common mistakes that people make when attempting to wash their car. As stated earlier, automatic car washes are ok if you just want a quick fix and you, not all that concerned with the end result, however, a new car or a flashy car should never be taken through an auto wash, as they are notorious for accelerating paint degradation. This one is very common, however washing the car in direct sunlight has several adverse effects. For one, soap and water will dry quickly under direct sunlight, making it difficult to dry properly before water spots form. Also, many commercial products are not intended to be applied to hot surfaces. Dirt left in a bucket will get picked up by the towel and get rubbed right onto your paint, potentially scratching it. Clean your bucket before filling it with your soap solution. Circular drying makes you more likely to cause scratches in a variety of directions. We don’t want our steering wheel or pedals to be slippery! Having gotten in depth on the best ways to clean your car, you are now armed with all you need to clean your car like a pro! So then there you have it. Have fun, don't let them catch you riding dirty! I hope you have enjoyed this tutorial and the results it will bring you. Hi, David, I liked your common mistakes part of your great insightful article. Generally, I don’t prefer hand car washing as there are a risk too if we are not careful enough. Think, your tips and tricks will keep me remembering the mistakes and hope, I will able to keep my car clean all over the year. These are some awesome things to consider when getting your car washed. I rarely get my car washed, but I probably should start getting it done every couple of weeks to avoid damage and build up. Thank you for the well balanced article. I felt like I was well informed about the benefits and risks of car washes.